Addis Ababa, May 6, 2016 (FBC) – The relationship between Ethiopia and China has gone beyond bilateral engagement with the ever growing people to people ties between the two nations, according to Ambassador Seyoum Mesfin, Ethiopia’s Ambassador to the People’s Republic of China. The Ambassador briefed a team of Chinese journalists drawn from the country’s Jiangsu province on the overall relationship between Ethiopia and China. Ambassador Seyoum responded to questions from the journalists regarding the status of the relation between the two nations, prospects and challenges in strengthening the relation and lucrative investment fields in Ethiopia for Chinese investors. 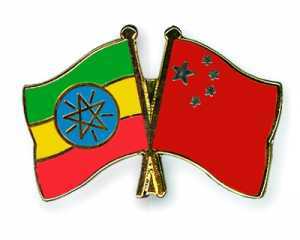 The Ethiopian diplomat confirmed to the Chinese media that the relation between Ethiopia and China has gone beyond bilateral exchanges, embracing increased people to people relations. The two nations are enjoying strong relation in the social fields of education, health, cultural exchanges and others which were triggered by the well established trade and investment exchanges, he stated. According to the Ambassador, the comprehensive bilateral cooperation between Ethiopia and China is also growing more than ever with over three thousand Chinese engaging in a range of development sectors in Ethiopia. Mentioning the growing focus to modernize the agriculture sector in Ethiopia, Ambassador Seyoum called on Chinese investors to engage in fields of agriculture, especially, cotton farming which he said is enjoying huge demand from European and U.S. markets. He also spoke of potentials in food processing, chemicals and fertilizer as well as livestock, hides and skin processing, fishery and others for which the government readies necessary facilitations. With the expansion of roads and railways infrastructures as well as dams, industrial parks and other manufacturing hubs, investors engaging in inputs supply, textiles and garment, metals and plastics as well as mining are having better market accessibility, he added. Activities are underway to formally establish sisterly relation between Oromia and China’s Jiangsu province which he said will take the people to people relation to a higher level. With over 70 million people, a 9.4 per cent annual economic growth and a GDP of 1.4 trillion, Jiangsu is one of the richest and most populous regions in China, he said. A delegation from the province is expected to pay a visit to Ethiopia within two weeks time to finalize the partnership with the regional state of Oromia. According to Ambassador Seyoum, last year’s Forum on China-Africa Cooperation (FOCAC) held in Johannesburg, South Africa is among the conducive situations to increase the all-round partnership between Ethiopia and China.